Last year over 300 people joined together to celebrate our city. Amongst them, leaders from our faith sector, business, commerce, industry, education and health, working collaboratively towards the future success and welfare of Stoke-on-Trent. Across the country, people are attending similar events in their respective towns and cities. Here in Stoke-on-Trent we host one of the largest Civic Prayer Breakfast’s that takes place in the the UK. 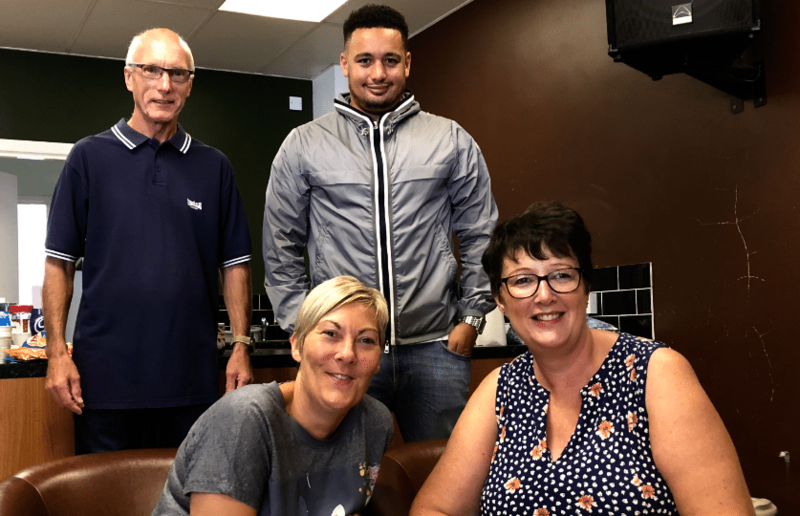 Saltbox’s Money Matters service, established in 2009, has provided financial support and debt advice to vulnerable individuals across North Staffordshire for over a decade now. 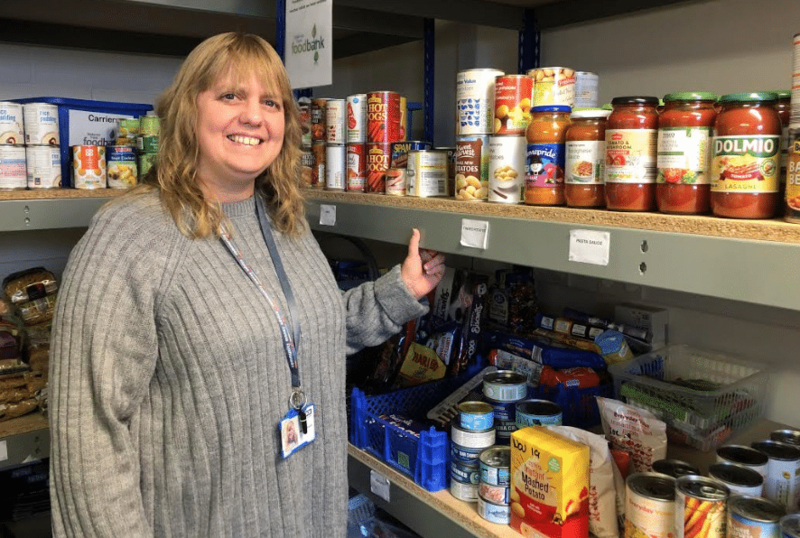 Since 2014 Money Matters has worked in partnership with Trussell Trust, running 35 drop-in sessions a month across 16 Stoke-on-Trent Foodbank centres. From November 2017 to December 2018 the team has helped 1138 individuals access an estimated £109,595 of previously unclaimed benefits and managed c. £295,547 worth of debt. 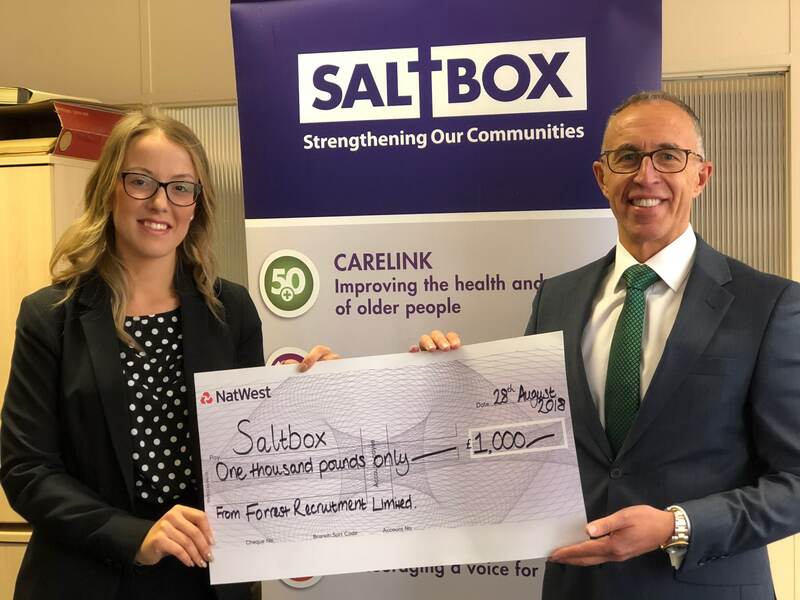 Over the years, there has been an increased demand for the service, and Saltbox realised it had to find alternative sources of funding to continually support the service. As of November 2017, major utilities provider npower has funded the team as part of their commitment to support people in vulnerable situations. 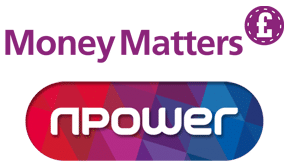 Thanks to npower’s contribution, Money Matters is now securely funded all the way through to October 2020. 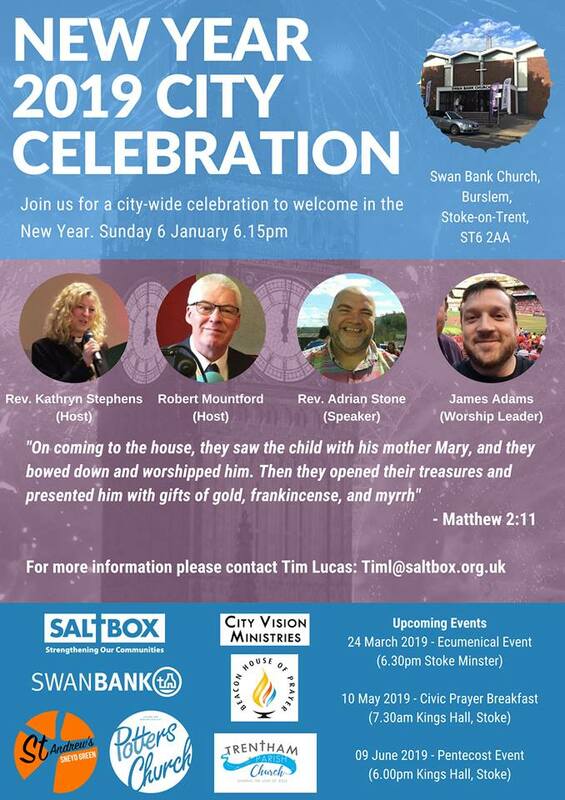 Join us for a city-wide celebration to welcome in the New Year. 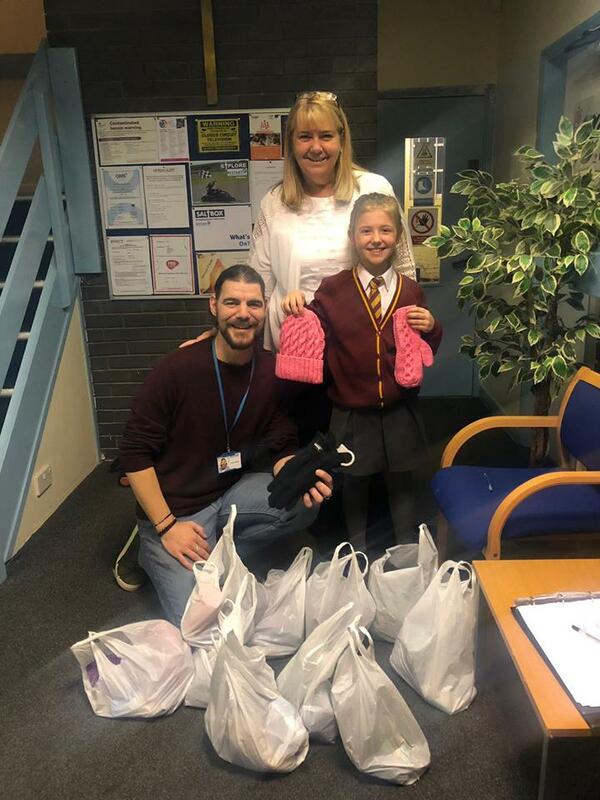 Saltbox would like to say a big thank you to Madison Hall-Elliot and her mum who dropped off donations for the homeless at our Burslem office last week. Madison’s dad works in London and on a recent visit she saw a homeless man who they helped out by buying a meal deal. This led to Madison wanting to help homeless people in Stoke-on-Trent. After asking friends and family she was able to raise plenty of donations ranging from toiletries, knitted hats, gloves and essentials. You can read more about Madison’s charitable work over on StokeOnTrentLive. Saltbox is working in partnership with The Co-operative Bank to encourage donations for homeless individuals across North Staffordshire. Starting this week you can drop off essential items (including toothbrushes, toothpaste, combs, gloves and deodorant) at either the Co-operative Hanley branch (2 Town Road) or Newcastle-under-Lyme branch (31 High Street). The Co-op will then work with Saltbox to package the items and get them out to vulnerable members of the community. 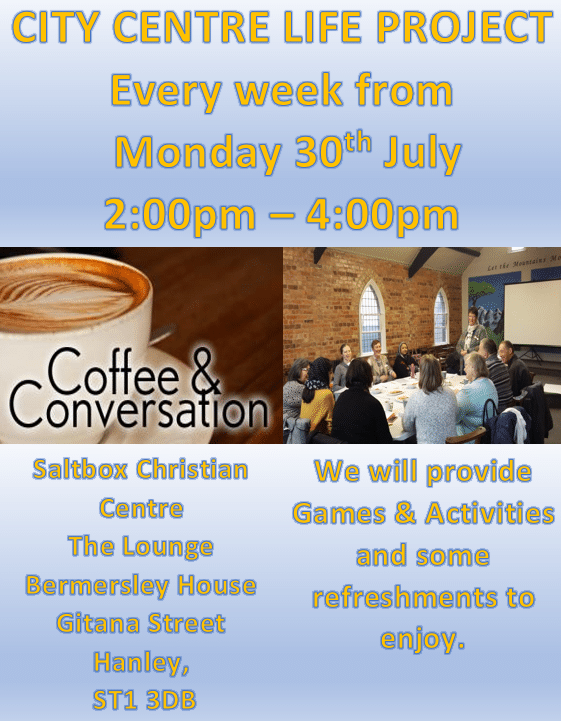 To find out more about the work Saltbox do in the community, Chief Executive Lloyd Cooke has the following video message. You can also visit our website, available here. This week Saltbox received a generous donation from the Newcastle-under-Lyme branch of Forrest Recruitment, pictured visiting our Hanley office to present a cheque for £1,000.00, below.